“7/7 London bombings: What Happened on 7 July 2005?” BBC, July 6, 2015, http://www.bbc.co.uk/newsround/33401669. According to the British government, starting in 2001 Khan traveled to Pakistan several times to receive training from al-Qaeda militants.Rachel Williams, “Defendant ended up at Pakistan training camp ‘by accident’ jury told,” Guardian (London), April 28, 2009, https://www.theguardian.com/uk/2009/apr/29/july-7-trial-camps. He made his final trip to Pakistan months before the 7/7 bombings, bringing fellow bomber Shehzad Tanweer. At an al-Qaeda safehouse in Islamabad, the pair received explosives training and recorded martyrdom videos.Rachel Williams, “Defendant ended up at Pakistan training camp ‘by accident’ jury told,” Guardian (London), April 28, 2009, https://www.theguardian.com/uk/2009/apr/29/july-7-trial-camps. In September 2005, al-Qaeda released a video claiming responsibility for the 7/7 bombings. 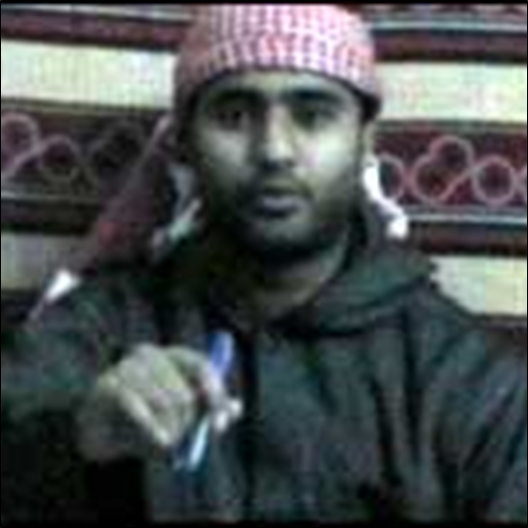 The video included a statement from then-al-Qaeda-deputy Ayman al-Zawahiri and a clip from Khan’s martyrdom video in which Khan stated, “Our words are dead until we give them life with our blood.”“‘UK Bomber’ on Al Jazeera Tape,” CNN, September 2, 2005, http://www.cnn.com/2005/WORLD/europe/09/01/london.claim/. “Profile: Mohammad Sidique Khan,” BBC News, April 20, 2017, http://news.bbc.co.uk/2/hi/uk_news/4762209.stm. Khan reportedly told his work colleagues that he had turned to religion after fighting, drinking, and using drugs as a youth.“Profile: Mohammad Sidique Khan,” BBC News, April 20, 2017, http://news.bbc.co.uk/2/hi/uk_news/4762209.stm. During the early 2000s, Khan traveled to Pakistan several times to receive training from al-Qaeda militants. He also communicated with and plotted alongside al-Qaeda extremists within the United Kingdom, according to the British prosecutors.Rachel Williams, “Defendant ended up at Pakistan training camp ‘by accident’ jury told,” Guardian (London), April 28, 2009, https://www.theguardian.com/uk/2009/apr/29/july-7-trial-camps. In the summer of 2001, Khan reportedly began helping two London-based al-Qaeda operatives—Omar Sharif and Asif Hanif—to recruit British youth for training in Afghanistan. Sharif and Hanif would go on to perpetrate suicide attacks in Tel Aviv, Israel, in 2003.Shiv Malik, “My brother the bomber,” Prospect (London), June 30, 2007, http://www.prospectmagazine.co.uk/magazine/my-brother-the-bomber-mohammad-sidique-khan. Khan was reportedly also in contact with U.K.-based Mohammed Quayyum Khan, a suspected al-Qaeda operative.Shiv Malik, “My brother the bomber,” Prospect (London), June 30, 2007, http://www.prospectmagazine.co.uk/magazine/my-brother-the-bomber-mohammad-sidique-khan. British prosecutors later accused Mohammed Quayyum Khan of facilitating Mohammad Siddiqe Khan’s 2003 travel to Pakistan.Ian Cobain and Jeevan Vasagar, “Free – the man accused of being an al-Qaeda leader, aka ‘Q’,” Guardian (London), May 1, 2007, https://www.theguardian.com/uk/2007/may/01/politics.topstories3. Khan was dismissed from his job in 2004 due to poor attendance, evidently because he had traveled to and spent extended periods of time in Pakistan. The MI5 monitored Khan on four separate occasions between February and March of 2004. Authorities suspected that Khan was associated with a domestic group planning to build a fertilizer bomb, though they stopped monitoring him due to a lack of evidence.“Profile: Mohammad Sidique Khan,” BBC News, April 20, 2017, http://news.bbc.co.uk/2/hi/uk_news/4762209.stm. In November of that year, Khan again traveled to Pakistan, this time accompanied by Shehzad Tanweer.“Profile: Mohammad Sidique Khan,” BBC News, April 20, 2017, http://news.bbc.co.uk/2/hi/uk_news/4762209.stm. Pakistan-based Rashid Rauf—an al-Qaeda recruiter and British citizen of Kashmiri descent—arranged for Tanweer and Khan to stay in a rented house in Islamabad, where they received explosives training and filmed martyrdom videos to be released after their deaths.Nic Robertson, Paul Cruickshank and Tim Lister, “Documents give new details on al Qaeda’s London bombings,” CNN, April 30, 2012, http://www.cnn.com/2012/04/30/world/al-qaeda-documents-london-bombings/. On July 7, 2005, Khan, Tanweer, and Hasib Hussain drove in a rented car from Leeds to Luton, where they met Lindsay. The men arrived by train to London’s “King’s Cross” railway station, where they dispersed and detonated their devices in the underground ‘tube’ and on a double-decker bus. Khan detonated his suicide bomb in the tube’s Circle Line Train at the Edgeware Road stop, killing six people.“7 July London bombings: What happened that day?” BBC News, July 3, 2015, http://www.bbc.com/news/uk-33253598. Place of Birth Leeds, U.K.
“But our words have no impact upon you. Therefore I’m going to talk to you in a language that you understand. Our words are dead until we give them life with our blood.”Alan Cowell, “Al Jazeera Video Links London Bombings to Al Qaeda,” New York Times, September 2, 2005, http://www.nytimes.com/2005/09/02/world/europe/al-jazeera-video-links-london-bombings-to-al-qaeda.html?_r=0. “I and thousands like me are forsaking everything for what we believe. Our driving motivation doesn’t come from tangible commodities that this world has to offer…Until we feel security, you will be our target. Until you stop the bombing, gassing, imprisonment and torture of my people, we will not stop this fight. We are at war and I am a soldier. Now you too will taste the reality of this situation.”Alan Cowell, “Al Jazeera Video Links London Bombings to Al Qaeda,” New York Times, September 2, 2005, http://www.nytimes.com/2005/09/02/world/europe/al-jazeera-video-links-london-bombings-to-al-qaeda.html?_r=0.